This is the 49th income report as part of the zero backlink experiment. Last month I invested a lot of time in speeding up the site to improve the overall user experience. With a few minor tweaks I have continued to improve on site speeds cutting them by 80% on average. I have had a few hiccups along the way and taken the site down by accident a couple of times, but all in all – it should make for a much better experience for you all. On top of that I completed my first 10km trail run up a very muddy rock filled wet Volcano in preparation for Ironman but ended up injuring myself so had to take 2 weeks off training. Turns out running up a muddy rocky trail up a volcano is much harder than doing it barefoot on the tranquil beaches of Costa Rica. But putting the fact I couldn’t walk anymore aside, lets look at what I did on the blog this month. Over the past few days I have bee preparing a post that takes you behind the scenes of one of my recent campaigns that made $134,171 in just 6 days. In fact, in one day alone the campaign made $45,025! I am going to be publishing that post tomorrow so make sure you keep an eye out for it – you definitely don’t want to miss it! Last month I shared all of the things that I had done to increase loading times across the blog. This month I have continued to build on that which has had some amazing results. That is a pretty long time for anyone to wait in this day and age! That was a great improvement but I felt like I could do better. So this month I added KeyCDN into the mix and replaced the FV Gravatar Cahce plugin with the much more efficient Nix Gravatar Cache. That means that all the gravatars now get loaded from a content delivery network rather than making a bunch of extra HTTP requests which is a serious problem when some posts have over 1,000 comments. At this point I don’t think I can improve on those load times, so it’s officially case closed on my site speed optimisation project. Are you guys feeling the difference at all? You can learn how to increase your websites speed in this post. I also had time to fly out to Orlando to catch up with my mum & sister. We did the usual Disney trail including Magic Kingdom, Epcot, Hollywood Studios, Animal Kingdom & Universal Studios. It was nice to take a few days off, but I was more than happy to leave the United States to dial back the volume of life again! While I was in the states I picked up a couple of new marketing books. Well actually they are not new to me, they were introduced to me in my coprorate career but I’ve missed theme ver since. 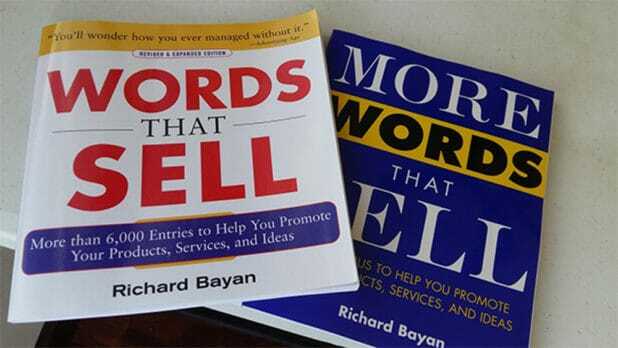 These are great books to have lying around on your desk for quick reference when writing any type of copy. There are also a bunch of extra copy writing tips, structures and more for quick reference and perfect for anyone that wants to improve their copywriting skills. I only published 4 new blog posts this month which is on par with the 4 I published last month. However last month I had an excuse because I launched the huge 15,000 words marketing tools section on the blog. We kicked off the month with my video tutorial to find powerful expired domains easily. That was shortly followed by my ultimate list of tutorials to increase website traffic which is broken down by difficulty. I also published my income report along with the regular income report roundup feature. Last month traffic increased to 62,587 (2,086/day) which has remained steady at 62,481 (2,015/day) this month. At the moment I’m trying to maintain at least 60,000 visitors per months after breaking through the barrier last month, so far – so good! My expired domains tutorial stole the show this month but only by a slight margin. The how to create a profitable membership site tutorial was close behind with my website traffic tutorials bringing up the rear. The top traffic sources have remained pretty much the same as last month. However there is one key difference, and that is that Bing is starting to send more and more traffic which I suspect is because of my recent SEO optimisations across the blog. Search traffic has grown steadily the past few months and that has continued this month! Last month saw 51,122 (1,704/day) from Google which has jumped to 54,204 (1,749/day) this month. YouTube views jumped from 17,954 to 20,279 this month because I published a new video which I haven’t done for a while..
That also had an impact on total minutes watched which increased from 80,283 to 92,759 respectively. That means at least 2 people are watching one of my videos every single minute of every single day! This month the total social shares across Facebook and Google+ increased from 63,528 to 67,809. This month brought 1,915 new subscribers which is a welcomed increase from last months 1,755 new subscribers. There are now a total of 150,761 subscribers across all of the various channels! Last month this came in at $8,511.57 however after a few funnel tweaks this month it increased to $10,391.53. Although in a lot of respects the blog made some good progress this month, I don’t feel like I did enough to push things forward. I mean income is up, traffic is up and the site loads quicker than ever but I just don’t feel it in my veins! November is going to be the first month I have had for a while where I haven’t got something major planned so I expect to establish razor sharp focus over the next few weeks. And let’s not forget, Black Friday is on the horizon which usually makes November a very profitable month. So while I batten down the hatches, you should get ready for tomorrows post where I share how I made $134,171 in just 6 days. No problem I hope they help you out! Glad to see that your still rocking the profit.Proud of you! Thanks for sharing Matt. Sounds like you haven’t been that lazy considering you’re training for Ironman! Haha well I never did a Marathon either, that trail run was my first actual run of any kind. these income reports and whole your site is inspiring me. Forces me to stop crying and stand up from the floor, and start my authority website at end of 2016. Even with handicaps like English is a foreign language for me; 20 years in corporate IT dev; and I had only started learning this thing months ago, but the proof of the pudding is in the eating, so I am ready to taste the pudding. Thank you for your work and sharing it free. No problem Csaba, I know many people in a similar position to you that have ‘made it’ so to speak. Words are what you want to be. Actions are what you will be. Nice one on the page speed increase Matt. Have you found the increase in speed has positively effected the ranking of that particular page? After reading this I can clearly see how newbie I am, so many sources of income, I need to work real hard to reach you but I have confidence that I will. This kind of post is very helpful because people like me can understand much better how everything works, sharing all your numbers and stats is very cool since I can learn a lot just from that! Also, I love the way you show us how you were improving your site speed and all the small results. Glad it is helping you out Nicolas, just stay consistent and you’ll make it. I choose not to monetize the YouTube videos because I prefer to keep peoples attention on the content. Wow! It’s relay great post. I got some info here. thanks for share it…..
What’s the expenses spent on? You have one of the lowest expense of so many gurus in the field. congrats for increase in Income . Every month your income motivated me a LOT to earn onlinbe. But things are difficult to achieve in real life. But I never give up , one day I definitely get success like you would be more thank yours . :). It’s only as difficult as you make it, there is no substitute for sheer determination and hard work. Make every minute count towards your goal. I have realized that increasing site speed can make one a lot of profits in big time as you highlighted here. Have been working to increase my site speed to under one second and saw a slight increase in traffic almost overnight. Congratulation for your great income achievement. You income report always inspire me to do blogging. I am impressed with your results, hope you are going to double your income in next few month. I read you article and found that you spent most of your money on Facebook ads and Aweber. So i am interested if i can achieve same results without building web 2.0 or PBN links. I know that your site (matthewwoodward.co.uk) has a quite good authority, but what about my affiliate site which is not as good as yours. Is it possible to increase traffic and sales following zero backlink experiment? Yes you can do that, but the biggest part of the equation is putting out the highest quality content which takes an awful lot of hard work. Whoa, truly inspiring round-up this month.Thanks for introducing new marketing books and good job! I remember following your blog back when you started – you’ve come a long way! First of all a big congratulations to you for keeping your earning stable. And secondly, I can experience your site speed. It is way faster than before. I just wanted to ask how do you keep track of all your affiliate earning? Did you just visit every affiliate network and note down your earnings or is there any special tool you’re using. Thanks Shafi that is good to know! Unfortunately I do it all manually with a spreadsheet! Wow that’s a lot of $$ in six days! I’ve seen reports like that from others who have launched products. My main website right now is my recipe website and my main income comes from ad revenue. I’d eventually love to release a product, but for this type of blog, it’s more or less going to be a recipe book. I do have another blog I have yet to actually work on that would be ideal for releasing products. I’ll have to try some of the suggestions for improving my speed. I just switched hosting not too long ago, and that helped. I was on Max CDN but it was clear I was going to be spending a pretty penny. Does your CDN service have a limit? No CDN service has a limit that I’m aware of as long as you have money. MaxCDN is super cheap though. Oh I do love her site! And I read a lot of what they have to offer from Food Blogger Pro since they also have podcasts. Very informative! I did try Max CDN but I’m going to wait. I was going to surpass the $9.99/mo. My ad service pays me net 75 days so right now I’m waiting to get my bigger checks, lol. Great to see you dial in that page load speed, it is bound to increase organic traffic and earnings. Had a plugin that was running on one of my niche sites a month ago and finally realized it was slowing my site down so much. Once I dropped it a saw a great increase in traffic and earnings! You should make a post about that! Thanks again that i have learned by many things from you, i hope one day becomingly my first income made. Matthew why are you not trying to make money off of youtube?